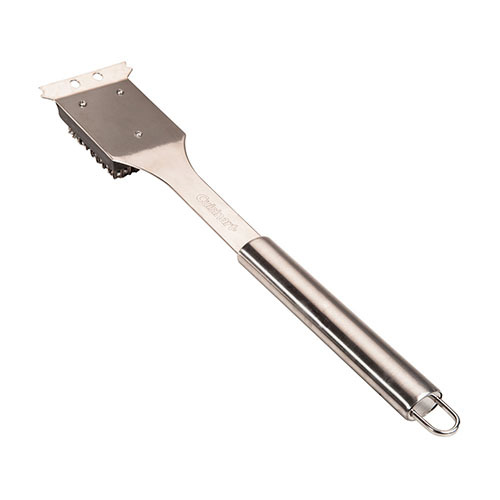 The Cuisinart CCB-5014 is a stainless steel grill brush, great looking way to clean a grill. This brush is designed at an angle to reach over grill and clean the grate while the handle is made with a smooth steel tube that is comfortable to hold. 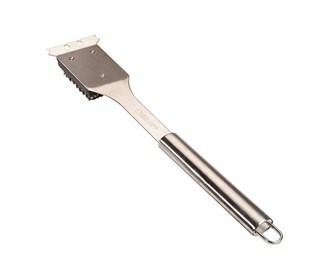 The Cuisinart Stainless Steel Grill Cleaning Brush has many exciting features for users of all types. You can extend the lifetime of your Cuisinart Stainless Steel Grill Cleaning Brush with the purchase of a FactoryOutletStore Factory Protection Plan. The Cuisinart Stainless Steel Grill Cleaning Brush is sold as a Brand New Unopened Item.